My dads situation has been a little tough to deal with, while mom is aging pretty gracefully, dad has been the one to take on all sorts of health issues. Dad was always athletic, ran everyday, didn’t drink much, and was always in amazing shape. My mom was never into exercising, also didn’t drink, and was never in amazing shape. It was so unreal when my dads health started declining and a lot of what was impacting him were physical ailments. How does a guy who has been so healthy his entire life fall victim to chronic fatigue? I don’t have the answer and neither do the doctors that have treated him. Nobody can explain what is really wrong, how it came about, or how to even treat it. He is on meds and sleeps more than he is awake. If he does anything real active while home it will run him down. He gets run down and sleeps for two days straight. It’s crazy! I need to find a facility with a Gym so he can try and get back into an exercise routine.There is that small voice in the back of my mind that wonders if my mom has had anything to do with it. Something like munchausen syndrome by proxy in the adult form. Could my mother be at an age where she cared for all of us kids for so many years that after we moved out she felt the need for my father to need and depend on her like a child? It sounds crazy even writing, but this is my blog and I get to do WTF I wanna do. I won’t touch on that any more then the mention I just made, but I will be curious if his health rebounds after moving into a senior retirement community. The medications and chronic fatigue has impaired some of his speech, memory, and at times it seems to have given him dementia. Sometimes he remembers details of every story, other times he can’t remember my kids name. So it’s weird, it seems to come and go. Whatever ends up happening I know that he will need enriched living soon to support his memory and dementia issues. This isn’t something I like talking about, but hospice could be a reality in the next few years depending on how things go. It could be three years or it could be thirty years, at some point it is going to be another harsh reality I will need to figure out and except. Finding a long term care facility for them that offers all these things and more is ideal. They need a sense of community, places to congregate and be social, and at the same time a place to receive the medical attention they need so that life continues to be something they enjoy. I’m not sure right now if I can make more than one trip a year out to visit, and I’m not sure how many of us can afford to go. It might be me and one kids the first year, then another kid the next. Fortunately we have video streaming and they are savvy enough on their devices to video chat. I’m not sure they thought of all these things prior to making the decision to move out to Long Island, but that’s where they are going so I must except it and work around the inconveniences of family travel and long distance communications. 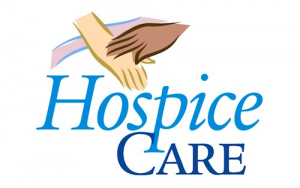 Hopefully hospice care isn’t a discussion for another 20 years, it’s on my mind though. I hate even writing about this, but it’s consumed me for the last two months. I felt the need to get this out there and start writing again. It’s a nice form of stress relief for me and I need to do it more. As soon as I can figure out how to enable comments I’ll get it set up so we can chat here on the blog. For everyone sending me emails I appreciate the support and love of my blog, I’ll be more proactive with my writings this summer than I have been. Thanks for swinging by my site. Have a great summer!